Old MacDonald had a farm, E-I-E-I-O!And on that farm he had some sheep, E-I-E-I-O! With a BAA! BAA! here, and a BAA! BAA! there, Here a BAA! there a BAA! everywhere a BAA! BAA! Old MacDonald had a farm, E-I-E-I-O! 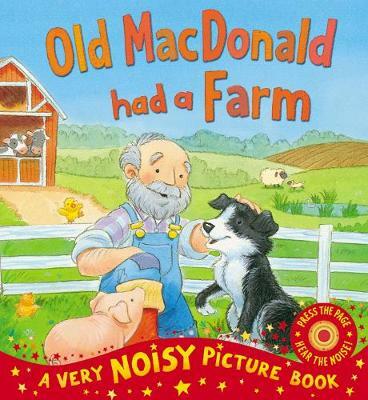 Everything is going wrong down on the farm and Old MacDonald is in a pickle! Whatever can he do? Children will love pressing the pages to hear the farmyard noises in this fun, noisy twist on a classic nursery rhyme.